A QR Code is a kind of barcode that can be used on your website, websito, or even on your printed materials. An example can be seen to the right, and you can see it larger if you click on it. 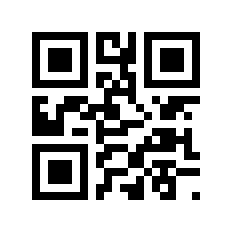 If you could read this QR Code, it would say http://jwebs.bz and it is a kind of link to this website. The main use would be if you have a mobile phone or other device with a barcode application (left), you could use it to jump to this website. So if you show someone your website on a desktop computer, your friend could point her cell phone at the QR Code on the page, touch the phone screen, and either jump to your website, or send your URL to someone via text message or by email. We’ll be happy to provide you, our customer, with QR Codes that they can use on their website or websito, or you can print it on the back of your business card or other promotional materials. 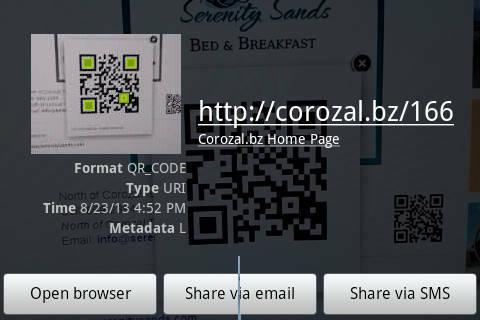 A single QR Code takes us only a few minutes to create and add to your website or websito. Printed from https://jwebs.bz — QR (Quick Response) Codes.